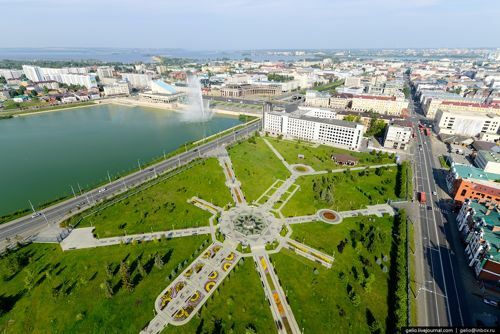 Kazan is a superb and a huge city right in the center of the Russian Federation. It is also a capital of a republic of Tatarstan and offers its visitors a large number of different attractions and historic sites to see. 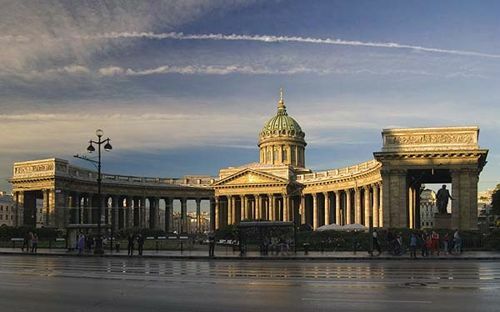 With a history of more than 1.000 years, this city has a lot to offer for the culture lovers. Moreover, Kazan is the capital of the remarkable republic of Tatarstan and has functioned as a crossroad between east and west. The name Kazan means ‘cooking pot’ in Tatar, and it refers to the melting pot of cultures. There is a great deal of benefit when it comes to hiring a minibus to get you around. The main idea is that every member of the company will have to pay for public transport anyway. If the whole amount and charges are added together, it will be noticed that it probably will be equal to the daily rental cost of a van with the services of a chauffeur included. However, the level of comfort and flexibility clients get by applying to our services is way above comparing top the use of public transport. Our services will give customers the level of comfort they have never experienced before. It will be suited for a group of friends, families, corporate hire, etc. We will supply a new vehicle and a professional driver who will take care of you and make your travel in the city during the tournament pleasant and enjoyable. If you are a television company, journalists or blogger, please come to us, and you will never be disappointed. You can cooperate with your colleagues, save some money and get anywhere on time! The driver will be at your service twenty for hours a day and even at night. He will provide you with general information about the town optimizing the roots, logistics and travel times. He will suggest you where to have a lunch according to your wishes and requirements and where to dine, where to find the cuisine that you like and where to find a budget place to have some food. The driver will take you around in comfort offering you the best logistics possible when it comes to visiting the city’s attractions. He will also be supportive if your group decides to be divided or split into several parts while some of you will want to do one thing and the other people are interested in something different. Therefore, the range of advantages of opting for these kinds of service is only over the top! Substantial savings will be made on assignments at the time of arrivals and at the times of departures. Most of the van can take up to 10 people on board or even more. Let’s say if you decide to travel from an airport in a taxi then for this amount of people you will have to get at least three cars, and the cost of such transfer will be enormous. In the case of using our service, there will be no cost at all as it will be a part of the daily rental fair. The same thing applies when you will return to the airport or a train station. The driver will give every support when it comes to handling customer’s luggage. Get in touch with the firm’s representative over the telephone. We can also communicate with you via email or social networks. We will gladly receive the range of your requirements and fit them into dates of your stay. Also, we will make our proposals and recommendations. After making payment, the service will be reserved for you and official confirmation sent to you.